Exxon Made a Profit; Shame on Them! Exxon, the company we love to hate, raked in $36 billion in profits last year with over 30% of that coming in the fourth quarter. As one economist said, "It's not difficult to make a profit when oil is $68 a barrel." Liberals and Democrats are screaming for Congress to impose a windfall profits tax. The last time Congress did that was in 1980 when oil prices skyrocketed to $30 a barrel. By 1986 oil was back down to $10 a barrel and the windfall profit tax looked like another failed attempt by the government to take money from profitable businesses and give it to people who won't work for it. Before you jump on the windfall profits bandwagon, you need to think a little about the way corporations are taxed. Unlike individuals, corporations are taxed on what is left after they deduct all of their operating expenses, one of which is taxes. Well-managed corporations typically plow most of their after-tax profits back into the business either by funding research and development, or buying back their own stock, which raises the value of the remaining stock held by individuals and institutions. The concept of the windfall profit tax reared its ugly head in the Seventies when price controls were about to be lifted on domestic crude oil. Congress, in its infinite wisdom, figured out that removing price controls would allow the price of domestic crude oil, which was fixed at $6 a barrel, to immediately jump to the market price of $30 a barrel. Sharpening their pencils, our leaders quickly calculated that oil producers could earn as much as $400 billion in profits during the decade between 1980 and 1990. Shame on them! The New York Times thought those kinds of profits were sinful, terming the impending deregulation of oil as "an immense transfer of cash" from consumers to oil companies. And so, on April 2, 1980, Congress passed, and President Carter signed, Public Law 96-223, the "Windfall Profit Tax on Domestic Crude Oil," which was not actually a tax on profits, but rather an excise tax similar to that levied on jewelry and other nonessential items purchased by consumers, such as tires, for example. President Carter had no problem signing the windfall profit tax. After all, he was a tax-and-spend Democrat, as evidenced by this comment made in 1979: "Unless we tax the oil companies, they will reap huge and undeserved windfall profits." Let's take a look at the revenues that filled the public coffers during the eight years the windfall profit tax was in effect. First, it was a three-tiered tax, which is a euphemism for "very complicated." 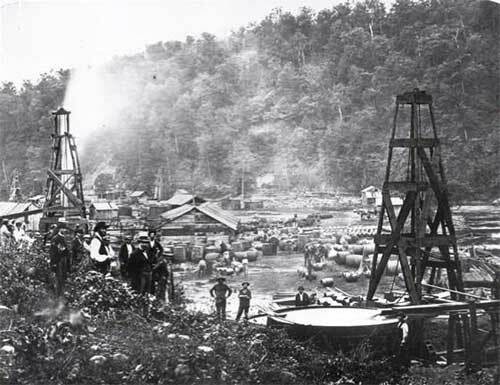 The formula used to calculate the tax was based on the oil's physical characteristics (light or heavy; sweet or sour), the age of the oil well, and how much oil was pumped out of the ground. The tax rate could be anywhere from 70% to 15%. The oil companies spent about $45 million a year complying with the WPT. The IRS spent about $15 million a year collecting the tax. During its existence, the WPT generated about $80 billion in gross tax revenues. However, because it was a "tax" and a deductible business expense, its net effect was to lower oil company corporate taxes, resulting in the government realizing only about $40 billion, or slightly more than Exxon's profits for 2005. Note that I said slightly more. For you and me, $6 billion sounds like a lot of money, but it's only chump change for the Federal government. The steak was overcooked and they dropped my mushrooms on the floor, but the glass of J&B was filled to the brim. The waitress probably was working for the minimum wage and surviving on tips, and the food probably was cooked by an illegal immigrant working for practically nothing. It may have cost the restaurant $10 to prepare and serve the meal, leaving a net profit of $34, or 340%! Now that is a windfall. Bob Ciminel's articles may include satire and parody, and mix fact with fiction. He assumes informed readers will be able to tell the difference. Bob lives in Roswell, Georgia, and works for the Institute of Nuclear Power Operations. He is also a conductor on the Blue Ridge Scenic Railway.